Aphids are small plant-eating insects found most commonly in temperate climates. 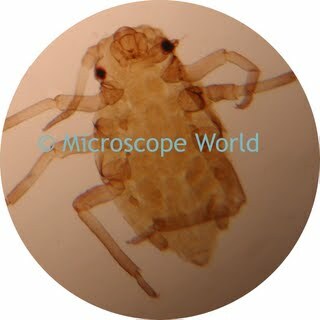 Viewed through the 131-LED student microscope, this aphid appears to be missing one of his front pincers. 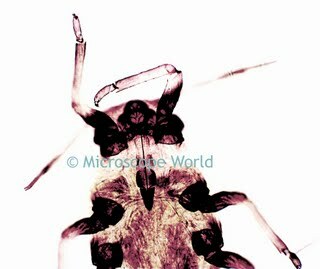 This aphid was captured at 100x magnification with the DK3000 microscope camera.